I became a blogger 7 years ago, and back then the only thing I was interested in was writing and having a cool little corner of the internet all to myself. I didn't even consider interacting with other bloggers because I didn't think it was important. Boy was I wrong! 7 years on, interacting with fellow bloggers is one of my favourite parts of doing this whole thing. Twitter chats are a perfect way to begin relationships with bloggers if you're a bit anxious to outright introduce yourself. There's multiple that take part every week in the evenings with a different discussion topic each time. Not only can you get involved with the conversation and bond with like-minded people, it also helps grow your blog which is a bonus! Growing your social media can be real hard work, who am I kidding - it IS hard work. With the follow-unfollow game and the unwanted bots, it's difficult to grow organically. But with the help of support groups on Facebook, Instagram and Pinterest, it makes it a hell of a lot easier. They're also there to help with the technical side of things too. God knows I'm always needing help with that. The best way to get noticed and begin relationships is to simply show your support. It doesn't take much. Just a nice comment here and there, RT'ing their promo tweets, following them across their socials and maybe mentioning them in a weekly Follow Friday tweet. It won't be one sided, because 9 times out of 10 those bloggers will return the favour. In the world of blogging, it's perfectly okay to mix friendship with work. 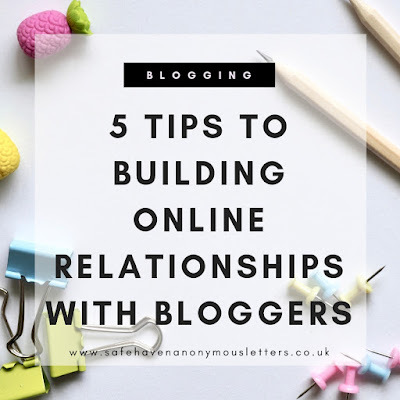 Proposing collaborations with fellow bloggers not only helps both of your blogs, but it'll also strengthen your online relationship. 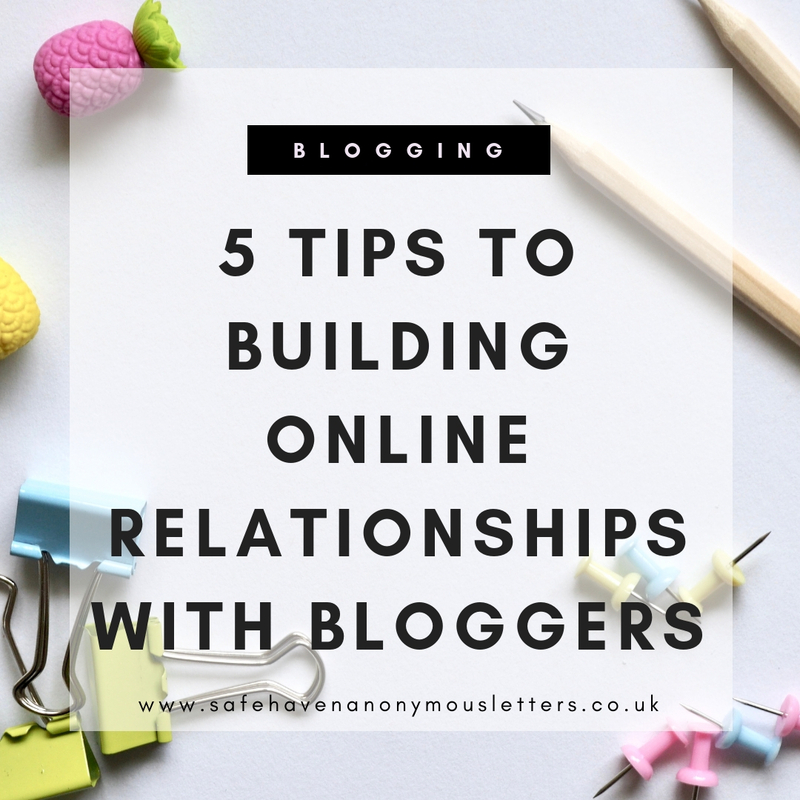 It doesn't have to be anything massive, you can collaborate on a post by picking a topic together and writing both perspectives on each other's blog, or you can host a giveaway together. This is absolutely the most important tip. Be kind. Compliment each other, offer advice, offer a safe place to talk about their worries and feelings. There's so much toxicity on social media these days and it makes our job hard enough, so let's keep the community a friendly and safe place. Remember, if you don't have anything nice to say, don't say it at all. Your comments always bring a tear to my eye! You're quite literally my favourite person I've met online. Thank you to you too beautiful angel.